It's a Gruene Thing – Quality Service From the Ground Up! Quality Service From the Ground Up! Rain. It’s a wonderful thing for your lawn and landscaping but it’s a nightmare for your lawn care professional! The extraordinary amount of rain that has blanketed Texas since the first of the year has been enough to make many wonder when they made the move to Seattle! The grass is lush and green, the landscaping is overgrown and the weeds have gone absolutely rogue which has left many a homeowner frustrated by the appearance of their yard and many a lawn care professional overwhelmed by the crazy amount of work that needs to get done! It’s raining and there are 10 yards to mow on the calendar for that day. 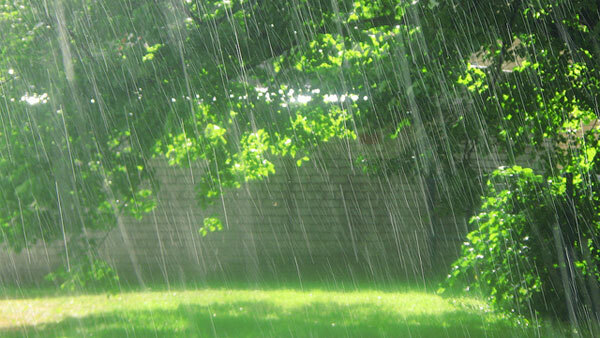 If you are lucky, the rain only lasts that one day and it wasn’t a deluge! Now you have twenty (or more) yards to mow and it’s pretty obvious that it isn’t possible to make that happen! Regroup. We work as long and as hard as we can to get caught up, but some days it just isn’t possible! I have told Jerry at times that I am convinced there is no way humanly possible to get caught up and we are just going to have to start over with the schedule! Unfortunately, that is not what customers want to hear. We were visiting with several of our fellow professionals recently and guess what? They all told the same story and were all facing the same dilemma! I guess the point of this post is to shed some light on the effects of rain days on the lawn care professional’s schedule. We live and die by that schedule, because at the end of the day we really desire to make our customers happy. 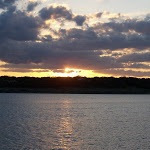 But the reality is that the schedule is sometimes dictated by and external force that is out of our control. I hope that this helps to clarify what goes on behind the scenes and the challenges that your lawn care professional faces when the rainy days come. Spring is coming, it’s time to clean up! It’s been a long, wet winter and if you are like us, you are ready for some sunshine and warmer temps. Your yard and landscaping is probably looking a little shabby as well. Now is the perfect time to schedule a spring clean up. 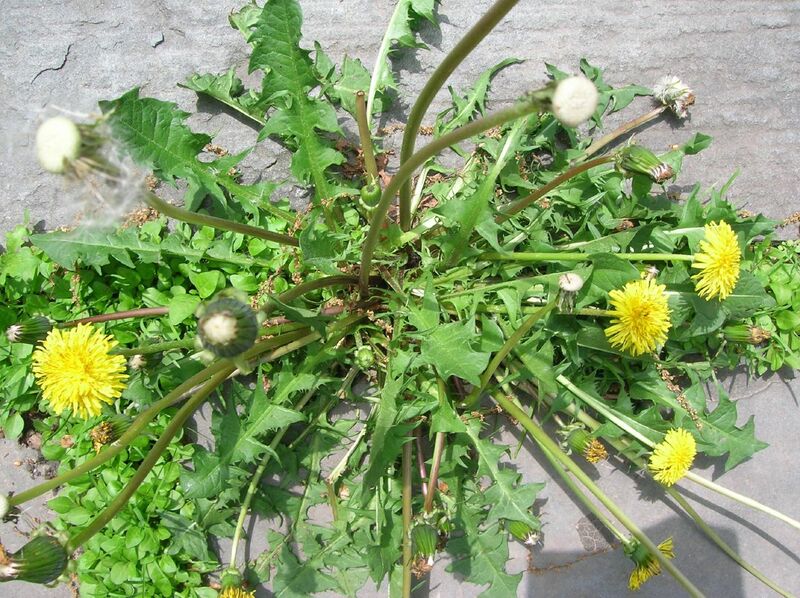 You may be seeing a lot of weeds in your turf and your beds are probably seeing some weed growth as well as dried up, dead or overgrown plants and shrubs. All in all the whole scene may leave you feeling more blah than a lot of these cold, wet, dreary days we have experienced this winter. If you find yourself overwhelmed by the thought of taking on the remains of the winter in your landscaping just call us and schedule a spring clean up. We can give you a quote depending on the amount of work to be done and get your yard looking great in time for that warm spring weather that will surely bring you out of the house to play. 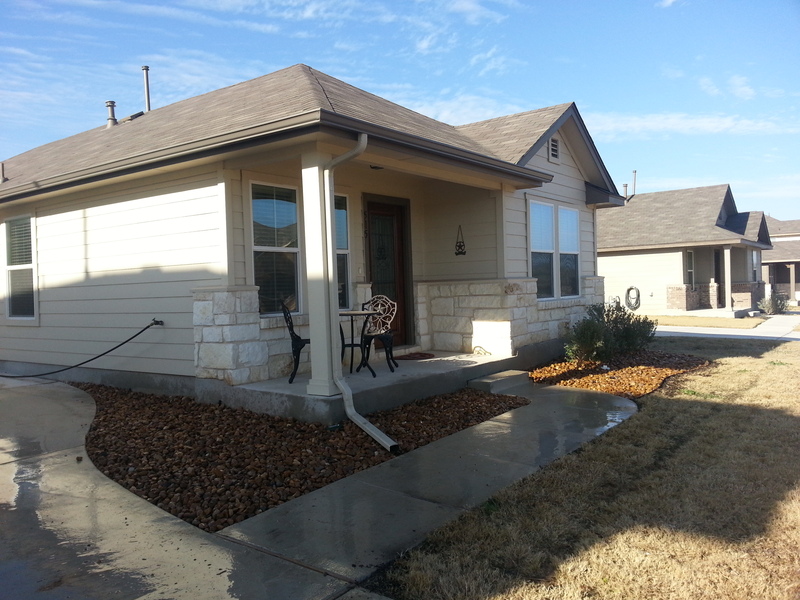 We at Gruene Lawn Care and Landscaping are in the business of making your yard look amazing! There is nothing we love more than to show up in front of your home or place of business where your turf is a mess and your landscaping is looking sad and get to work on making it shine. We can clean up your beds, replace or replenish your mulch, replace mulch with some attractive river rock, replace dead plants/shrubs, trim up your trees, cut back your shrubs that are looking much like bundles of sticks and much more. When we leave your property your landscape will be prepared for the coming spring. It will look sharp and inviting and your plants and trees will be properly trimmed for optimum growth in the coming season. You will love your landscape! “But it’s only February…even though we have been getting little teaser days of 70 degree weather, it’s still winter and why should I even be thinking about my yard?” If this sounds like you then we have the answer! Because the grass isn’t growing terribly fast right now and many lawn care professionals have the time to get out and work on your landscaping! Also spring will be here before you know it, after all, wasn’t it just Christmas like a couple of weeks ago??? Time flies and your landscaping will get away from you and it will be summer and you won’t want to invite the friends and family over for a cookout because your yard is a fright! So call today and don’t delay! For all your lawn care and landscaping needs call Gruene Lawn Care and Landscaping today! In retrospect…we have much to be Thankful for. As we approach Thanksgiving Day this week I wanted to be transparent and offer a glimpse into our lives and some of the challenges we have faced this year both personally and professionally. The fact is that when you own a business, the lines between personal and professional get very blurry and they tend to cross over into one another so often that it is hard to tell where one begins and the other ends. We are believers, when I say that it isn’t to brag or judge others…it is very simply, what we are and how we live. We are not perfect but we are forgiven. We strive to live our lives like we feel God would have us to do. We give where we can and trust in faith that we will make it through difficult times. This year we have suffered some setbacks and heartbreaks…two stand out as particularly dramatic and have deeply impacted our lives on every front. This year we took a big step in our business and added a second crew. This meant purchasing another truck, trailer and equipment as well as hiring employees to man the crew. Things were going well and we were pleased with the growth our business was experiencing and then one morning we got that call that no business owner ever wants to receive. Our commercial crew’s rig (truck, trailer, mowers, and other equipment) had been stolen in the night. There are not too many things more sobering than standing in the empty spot where the tools that you used to make a living and feed your family once sat and not having a clue what would happen next. Obviously we called the police first, but my second call was to my mom. My mom, whose health has been on a constant decline for the past couple of years…but is the one person who seems like a lifeline in the storm. “Pray for us Mom…it’s all gone…” I was losing it. Thank God for my Mom’s calming words and my husband’s faith, courage and vision. They knew through the whole thing that everything would work out and probably better than before. To be honest…I had my doubts! I am grateful to God for blessing me with people who lift me up when I am feeling crushed…other lawn care professionals offered us their equipment so we could continue to operate…talk about awesome! Thankfully all that insurance that I write checks for every month (sometimes begrudgingly) paid off…admit it, we know insurance is a necessity, but none of us really get giddy with delight over writing those premium checks each month! Within a month the insurance had settled all the claims and our truck, trailer and equipment was all replaced. Our customers were understanding and we stepped back into our routine without a lot of struggles. We learned to be much more cautious and observant through the experience and it also made us take a long look at how we operate and to mix things up a little in the way we do business. At the end of the day, we came out the other side of a very dark experience better off. I wouldn’t recommend the means for the end, but I can’t imagine a better ending for what started out as one of our worst days. We had just recovered from the drama and uncertainty of the theft when we received a call that my mom’s health had taken a bad turn and she would need to be moved from her apartment at the assisted living facility. All of the sudden I found myself faced with decisions to make. I am an only child, my mom is a widow and I handle her affairs. I called Jerry and he met me at home so I could tell him about mom. He said there was only one thing to do…bring her home to live with us. Now I don’t know if you realize how huge this is…think men, think mother-in-law…how many men would invite their ailing mother-in-law to come live in their home??? Yes, my husband is one-in-a-million…he really is. We began the process of moving mom home which isn’t as easy as it sounds. She was wheelchair bound and on oxygen 24/7…the only room that could house her would be our office. We played switcheroo and downsized A LOT…moving our office into the corner of our bedroom and preparing a place for mom. We moved her home and took on the task of caring for someone who cannot even be left home alone. It was like being parents to a baby again. Feeding schedules, being up and down all night long, hiring sitters so we could do simple things like grocery shop and go to church. Exhaustion set in…I was drained emotionally and physically and mom was not getting better…the truth was she was getting worse. I would go mow grass with Jerry just to get away from the house for a few hours. It felt good. After a short two weeks mom was bedridden and two weeks after that, surrounded by her family in our home she took her last breath and went home to Heaven to be with her Savior and dance on the clouds with my dad. I cannot tell you how I made it through the days that followed. I was prepared, but at the same time not so much. I was so tired…nothing made sense. Jerry and our son Jordan kept me going and dealt with my crying spells and stressed out moments. Our friends and church family fed us, made us laugh and took care of things for us. We said goodbye to mom on a sunny Tuesday with a Celebration of Life service that I think she would have loved. Before she left us she got to see our home (she loved our decor), see me cook (that’s a whole ‘nother story! ), see the flowers that I grew in our garden (from the former brown thumb) and be with her family (which was good for a lot of laughs). Our office is back in the front room again and my brain is engaged back on things of the lawn care nature. I still have moments where I cannot believe my mom is gone and it takes me off guard. I know she is in a better place and I will see her again one day, but it is a hard reality to lose your mom. Thanksgiving is a day away and I was reflecting on our losses this year and rejoicing in our gains. Sometimes life is just tough and you think you can’t face another heartache, but God gives us hope and the promise of a new tomorrow. 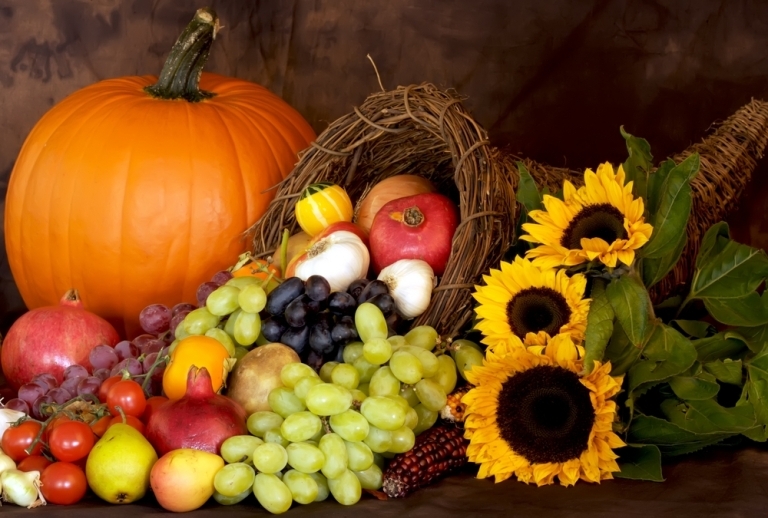 We wish you a Blessed Thanksgiving filled with joy and laughter! It’s time to start thinking landscaping! 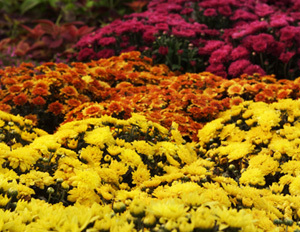 Monday is the first official day of fall! With the recent rain in the area and continued forecast of rain to come the growing season will likely carry on into November again this year. Once the growing season wraps up it is a great time to complete those landscaping projects you’ve been thinking about! 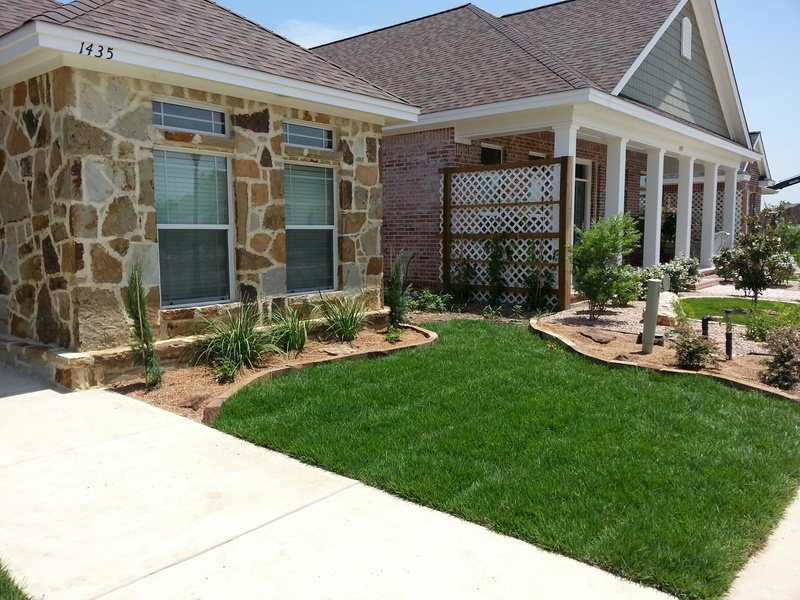 Gruene Lawn Care and Landscaping is your go-to source for creative, beautiful and affordable projects that can add that extra something special to your home! From changing out shrubs in your beds to full design and installation projects, we can handle it all! Visit our website to check out some before and after photos of some of our projects. Kick it up a notch with landscaping! We can work with your budget to create a landscape that you will love. We are booking projects for this winter, so contact us today to schedule a consultation and get on the calendar. Call Jerry at 830-515-0471 for an appointment! Removing mulch from your existing beds and replacing it with river rock and maybe adding some chop block borders. River rock is a nice addition. Adding an island to your front yard around existing trees with mulch, rock and shrubs. 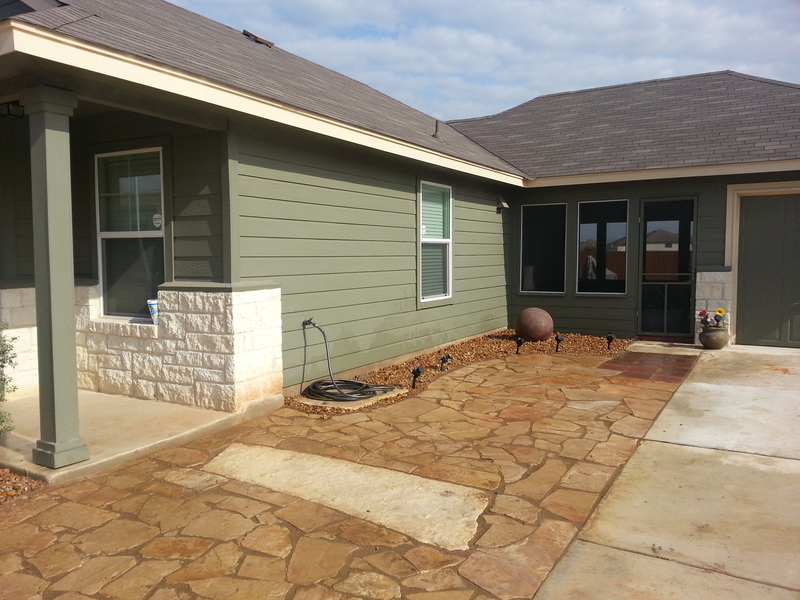 Installing a flagstone patio to create an outdoor sitting or living area. Building a water feature for a relaxing addition to your yard. We can also design an entirely new landscape design and install it for a brand new look. It’s time to start thinking landscaping! We are well into summer and our region is still existing under drought conditions. This is a good time to evaluate your lawn. 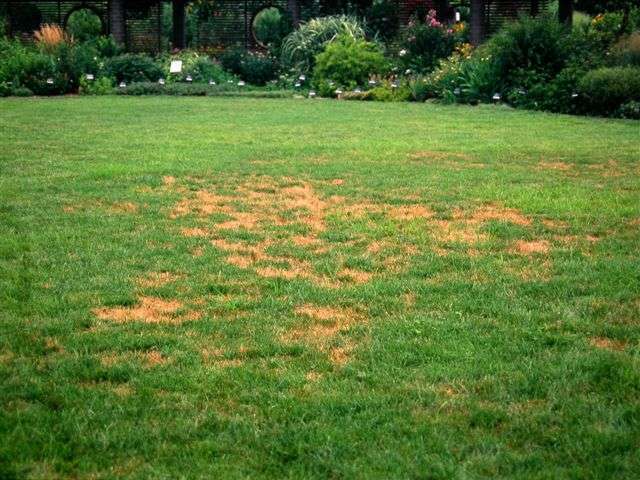 You may be seeing brown spots on your lawn which could be a sign that your lawn needs water. If you are living in an area where there are watering restrictions take notice of those by visiting your water supplier’s website. A great solution for getting your lawn the water it needs is to utilize soaker hoses. 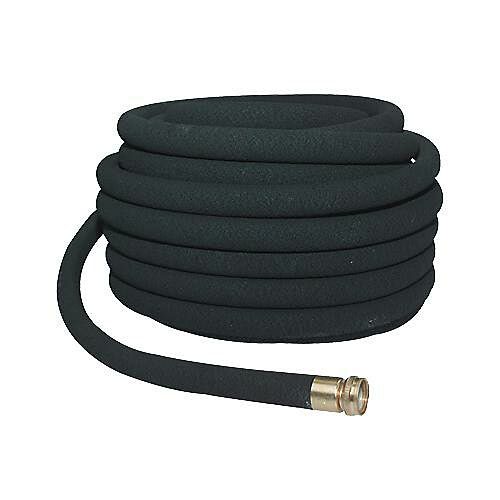 In many cases use of soaker hoses is a lot less limited and actually gets your lawn more water by directing it into the ground and not losing excess through evaporation in the air. Keep an eye out for fleas and fire ants in your lawn. Treat them with the appropriate products or call your local pest control service provider for a treatment program that will keep these annoying pests at bay! During the extreme heat of the midsummer you will want to make sure to not cut your grass too short. Scalping your lawn opens up the soil and root system to excessive heat which can dry our your lawn and also opens up the grass canopy to allow the light necessary for weed growth. 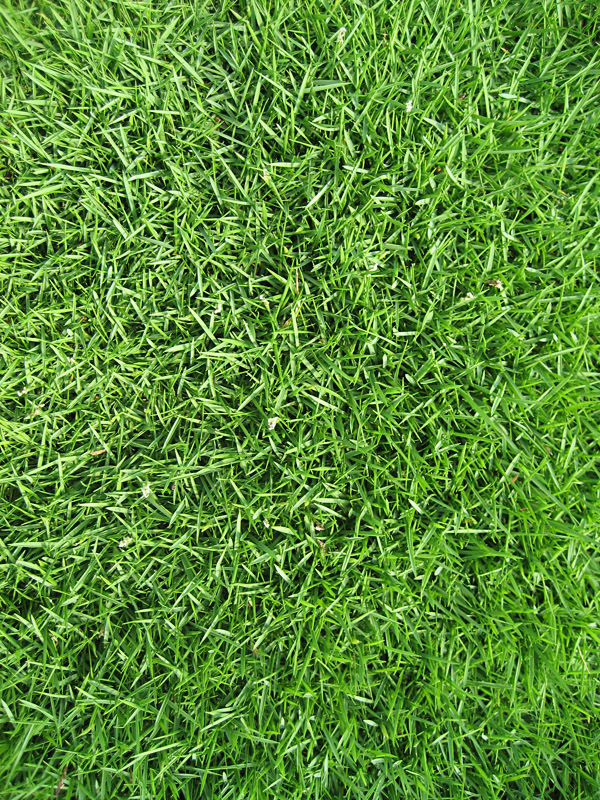 Cut your grass at a height of 3 inches to keep your lawn healthy and to help stifle the growth of pesky weeds. If you need lawn service contact Gruene Lawn Care and Landscaping today! Making your lawn summer proof! Summer is officially upon us here in Central Texas and most lawns should be thick, lush, green and doing well with the rains we have been getting over the past couple of months. During this time it is good to check for thatch (dead grass that accumulates between the blades and the soil.) Excessive thatch reduced water penetration to the root system of your lawn, encourages insects and disease and makes mowing difficult. You may need to de-thatch your lawn or hire it done. You may want to water your grass in addition to the watering the recent rains have provided. Always check your local watering restrictions to make sure you are in compliance with the regulations in your city, county or subdivision. We always recommend soaker hoses as they offer more frequent watering under the watering restrictions and tend to water the grass more effectively getting the water to the root system. Weeds always seem to plague even the best lawns, but with the extreme heat you have to be careful of what you use to combat them. It is best to contact a professional about what weed treatments to use and you may need to have them professionally applied. Insects can also cause problems during this hot time including: chinch bugs and mole crickets. Keep an eye out for dry straw-like areas in the sunny areas of your lawn and treat them with products labeled to control chinch bugs. Mowing is important and not scalping your lawn is vital to a healthy yard. We recommend mowing at a height 3″ in order to maintain your turf. Mow at 3″ and don’t scalp your lawn! to take care of your lawn maintenance needs!